The 9th race in the VLN Endurance Championship this Saturday (8th October) will bring the 2016 endurance season to a close for ROWE RACING and is also the final race of the year in Europe. After the DMW 250-mile race at the Nürburgring, the team from St. Ingbert only has the FIA GT World Cup in Macau (17th to 20th November) before heading into their well-earned winter break. ROWE RACING’s goal at their final appearance of the year in their “living room” at the Nordschleife is clear: The team is eager to bid farewell to their fans in the Eifel for 2016 with a good race and ideally a podium position. In action on Saturday is a BMW M6 GT3, whose driver line-up will compete together for the first time in this combination. 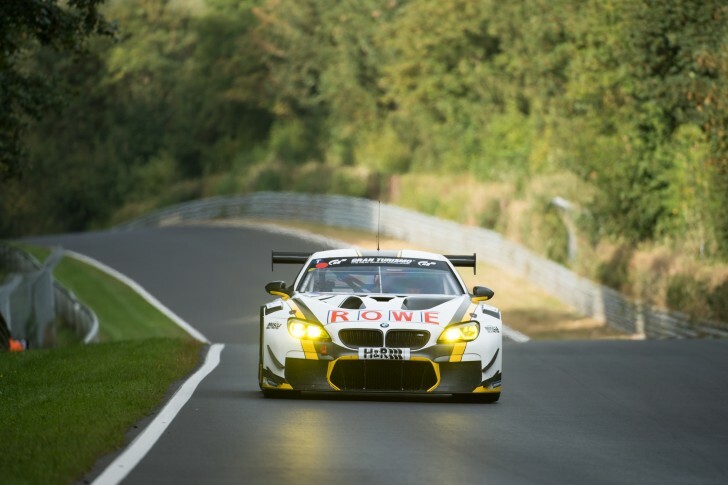 One of the drivers will be ROWE RACING regular driver and BMW works driver Alexander Sims from Great Britain, who was one of the fastest drivers overall at the “Green Hell” in the fifth place at the 44th ADAC Zurich 24-hour race. At his side will be Dutchman Stef Dusseldorp, who was usually at the wheel of the sister car in the Blancpain GT Series. The 9th VLN race will be four hours on Saturday as standard. The race will start at the usual time of 12:00 p.m. CET.